Congratulations to T.J. Bruck on being tobacco-free for more than six months! 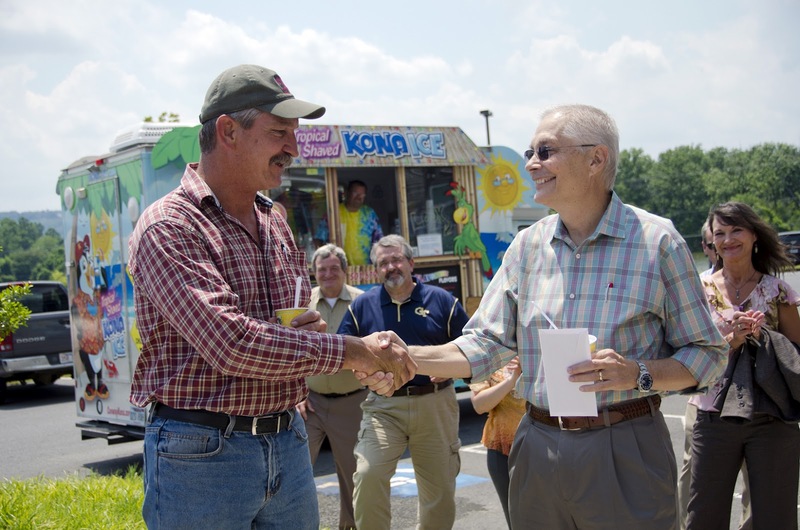 Garver celebrated this milestone with T.J. by taking an afternoon break and enjoying shaved ice provided by Kona Ice. 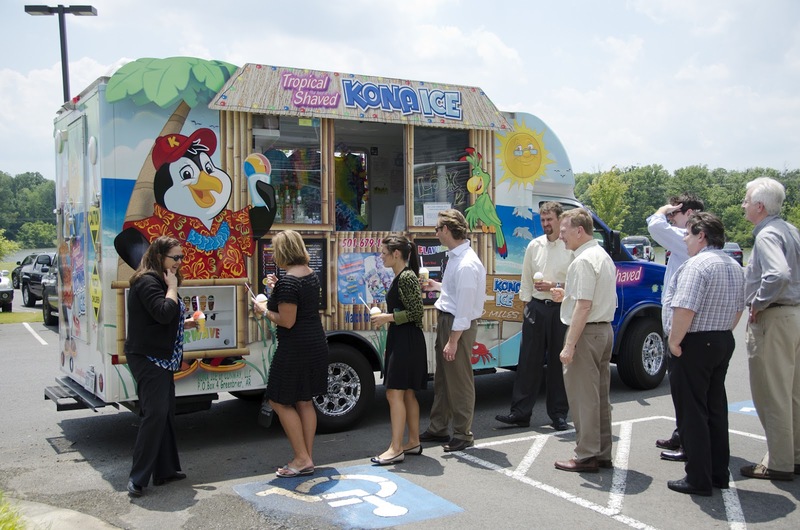 With tropical music playing Don't Worry, Be Happy in the background, a crowd of employees quickly gathered in our North Little Rock, Arkansas office parking lot to congratulate T.J. on his accomplishment. Garver President Brock Johnson presented T.J. (above left) with a financial bonus for his tobacco-free lifestyle, and T.J. has also received a reduction in his health insurance premium. T.J. is a construction observer with more than 30 years of experience.